The Orioles have returned left-hander and Rule 5 Draft pick Nestor Cortes to the Yankees, the team announced. That means Cortes cleared waivers and is no longer on the 40-man roster. The Yankees have assigned him to Double-A Trenton. Cortes, 23, started the season in Baltimore’s bullpen and wasn’t very effective (4.2 IP, 10 H, 4 R, 4 ER, 4 BB, 3 K, 2 HR). 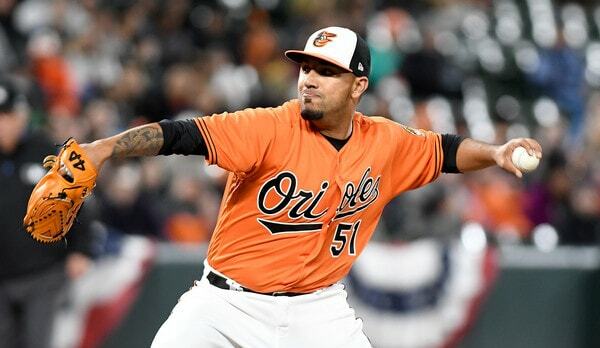 He was designated for assignment earlier this week when the O’s needed a fresh bullpen arm, partly due to the 14-inning and 12-inning games with the Yankees last weekend. While he pitches with fringy velocity, often topping out around 89-90 mph, his fastball plays up because he commands it well to both sides of the plate while working from several different arm angles. He’s adept at changing speeds and keeping hitters off-balance with each of his three secondary offerings, and in concert his arsenal produces a surprising number of whiffs as well as consistent weak contact. The Yankees have used Cortes as something of a spot starter the last few years, sending him to whichever affiliate happened to need another pitcher at the moment. Domingo Acevedo was placed on the Double-A Trenton disabled list with a blister yesterday, so I assume Cortes is taking his rotation spot. I suspect he’ll be with Triple-A Scranton before long. Now that Cortes has returned, the Yankees have all four players they lost in the 2017 Rule 5 Draft pick back in the organization. 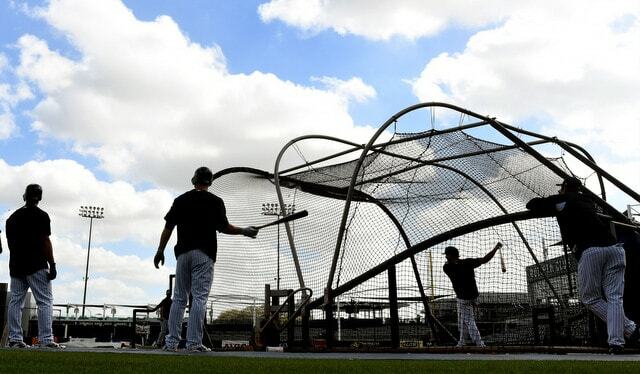 Anyelo Gomez, Mike Ford, and Jose Mesa Jr. were all returned during Spring Training.